The dichotomy could not be wider, and yet it is exactly this that makes the album work so well. 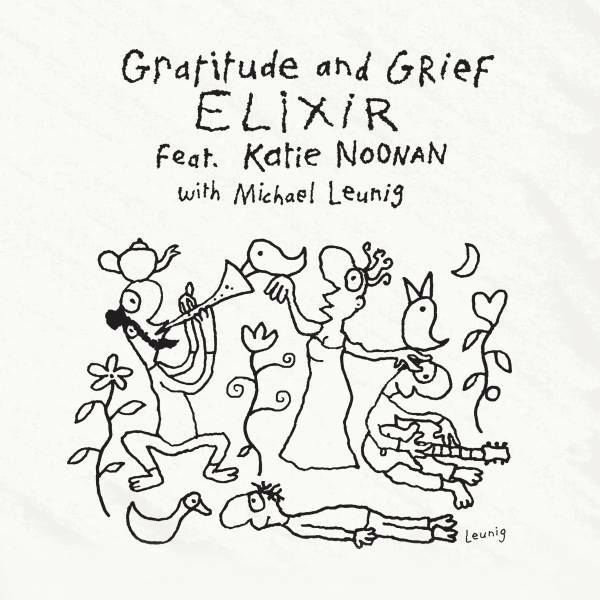 Firstly Michael Leunig reads one of his picture-of-innocence, charm-laden, spell-casting poems in his uniquely lugubrious way, and then that same poem is set to music and sung my Katie Noonan in a voice that is as ethereal as Leunig’s is rooted in the earth. This happens with 10 poems, and it is like looking at the same set of words through two different kaleidoscopes: one of muted browns and yellows, and one of flaring golds and silvers.